Section 80EE allows Income Tax benefits on the interest portion of the house property loan availed from any financial institution. The deduction allowed under this section is for the interest paid on a home loan for up to a maximum of Rs 50,000 per financial year. You can continue to claim this deduction until you have fully repaid the loan. This deduction is over and above the Rs 2 lakh limit under section 24 of the income tax act. Read more about deduction of Rs 2 lakh on interest on home loan here. Only individual taxpayers can claim deduction under Section 80EE on properties purchased either singly or jointly. If an individual has bought a property jointly with his or her spouse and they are both paying the instalments of the loan, then the two can individually claim this deduction. E-tax benefits are not applicable for Hindu Unified Families (HUF), Association of Persons (AOP), companies, trusts, etc. Tax benefits under Section 80EE can only be claimed by first-time home buyers. In order to claim this deduction, the individual must have taken the loan from a financial institution for buying his/her first residential house property. Section 80EE is applicable on a per person basis rather than a per property basis. To claim this benefit, it is not necessary for the taxpayer to reside in the property for which he or she is claiming this deduction. Borrowers living in rented homes can also claim this deduction. Under section 24 of the Income Tax Act, one can avail the deduction on Home Loan for payment of Interest tax benefit. The self-occupied property allows the deduction with the maximum limit of Rs. 2 lakh if it takes the completion within 5 years from the end of the Financial Year, otherwise Rs. 30,000. From Assessment year 2018-19, the loss from house property that will be allowed to be set off from other heads of income will be restricted to Rs 2,00,000 in particular assessment year and the rest amount shall be carried forward for set-off in subsequent years. The deduction can only be claimed by individuals for the house purchases jointly or singly. If a person jointly owns the house with her wife and they both are paying the instalments of the loan, then both of them can claim this deduction. Under section 80C of the Income Tax Act, the maximum deduction allowed for the repayment of the principal amount of home loan is Rs. 1.5 lakh. 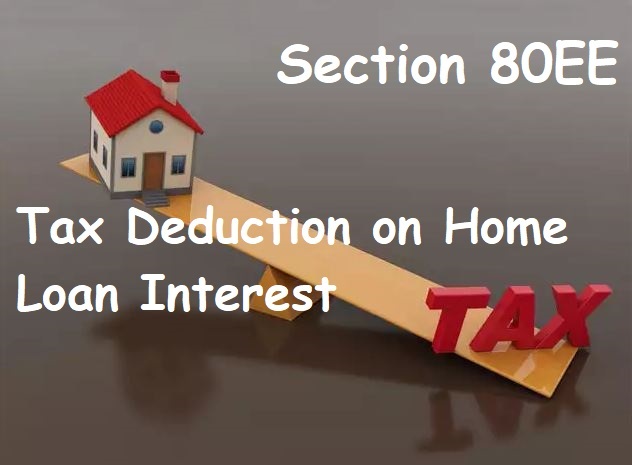 Deduction under section 80C also includes investments done in the PPF Account, Equity Oriented Mutual funds, Tax Saving Fixed Deposits, National Savings Certificate, etc. subject to the maximum of Rs. 1.5 lakhs. Besides this, there are stamp duty and registration charges that one can claim under the aforementioned section. Though, the claim can only take place in the year in which the payment has been made. There is a condition under which this repayment of the principal amount of housing loan is allowed. The deduction is only possible after the house gets entirely completed and there is a completion certificate for the same. Any under construction structure is not going to be a part of this section.